LAURA INGRAHAM is ending her radio show and shifting to podcasting via PODCASTONE in JANUARY. The conservative commentator and FOX NEWS CHANNEL host has been hosting a daily radio show for 17 years, most recently for COURTSIDE ENTERTAINMENT, like PODCASTONE headed by NORM PATTIZ. The radio show has been available in podcast form as well. Read much more radio & music business news HERE at the All Access Music Group website. 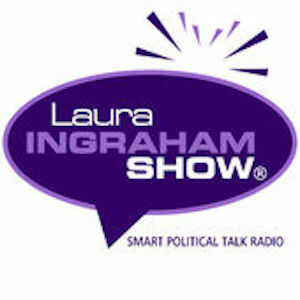 Happy to see Ingraham doing well on FOX, I am sure that also has something to o with he decision to cut back from Radio. I do not always agree with everything she says but she is a Great American Patriot, she has something to offer, and she is not afraid to stand up for herself. She does not allow herself to be Bullied by PC SJW Liberal Activist and I respect that an awful lot. She is also an Adoptive Parent of Children from Overseas and to me that says a lot about any one. I LOVE Laura. The only thing against her is her hate for weed. Because anyone that drinks beer or wine is a hypocrite if they promote their hatred of weed. Other than that….LAURA is the BOMB ! !